For the princess to be, a beautiful banner to welcome the new little girl. 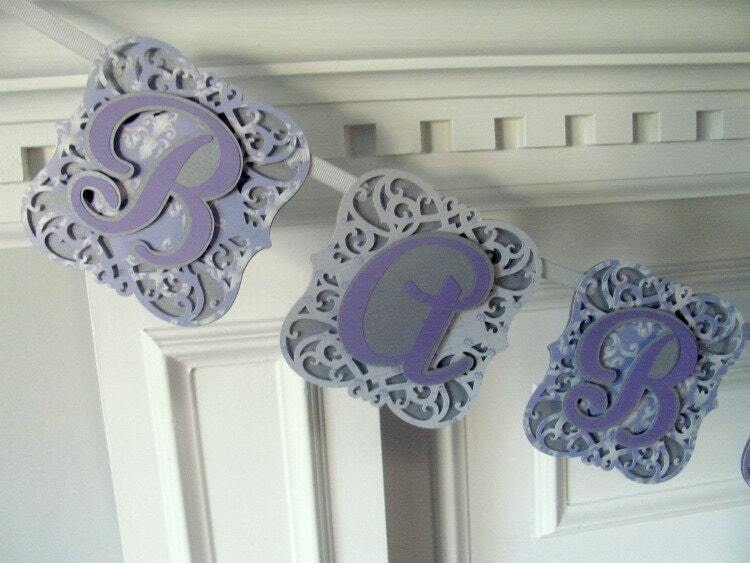 Banner panels are done in silver metallic paper with silver and lavender overlay in an intricate lace cut. 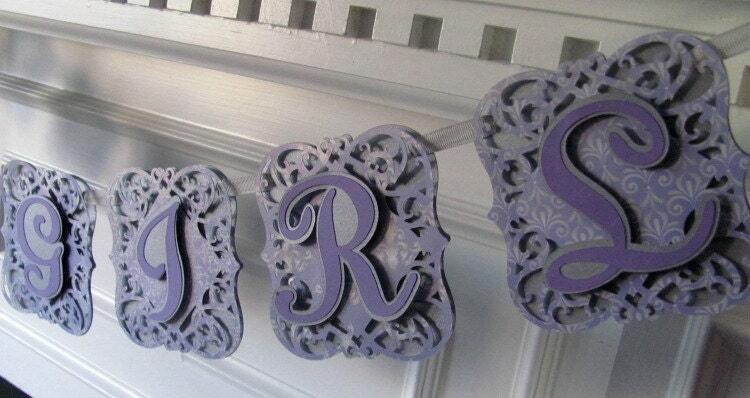 Letters are also 2 layers in lavender with silver shadowing and are raised for a 3D effect. A pretty rosette with a heart is used for the word separator. If you would like something other than a heart please indicate in notes what object you would like. I have done a dragon fly, rose, tiara, baby carriage, baby rattle just to name a few. 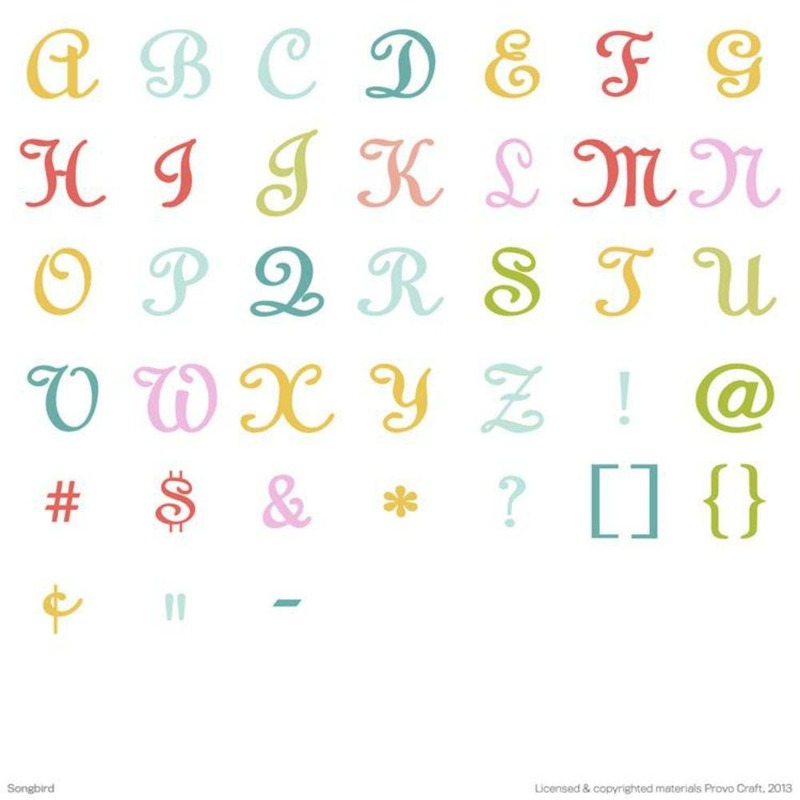 The full alphabet for the font may be viewed in image 5. Please see options for available wording. Have your own wording? Just contact me for pricing. Also may be reworded to Happy Birthday for same cost. 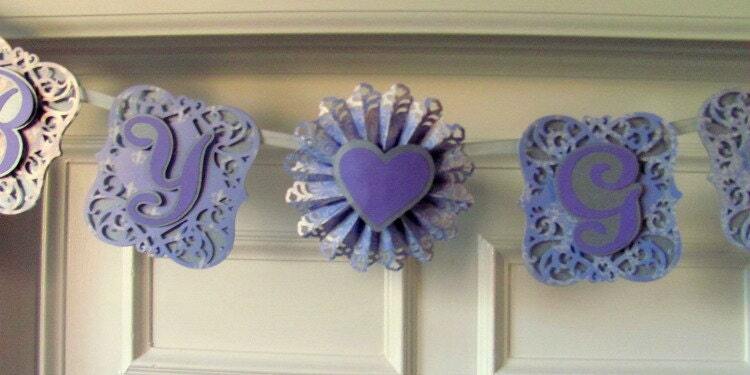 Would also making a pretty banner for a bridal shower or wedding. Just convo me with desired wording. Please allow 7-10 days for order processing. If a rush, please contact me before ordering. Banner will be shipped via priority mail with tracking provided. International orders are shipped via US First Class International mail. Please allow a minimum of 2-3 weeks for delivery. Loved this item. Was shipped quickly. Seller was great in letting me change the shipping address. I have to say this was the first purchase I've ever made on Etsy and this shop owner has not only met my expectations but exceeded them. Thank you so much for the beautiful banner, it is absolutely perfect! :) Also, I hope other shop owners are as wonderful as this one is because you are awesome. Thanks again!!! !